Otzma Yehudit party asks A-G to apply Supreme Court ruling on IDF service to the Arabs as well as to haredim. 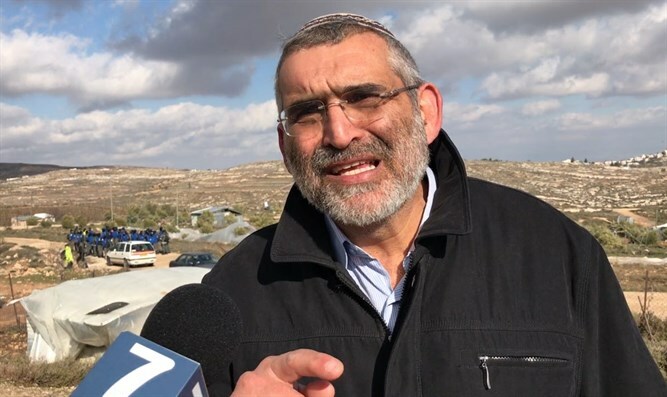 Dr. Michael Ben-Ari, head of the Otzma Yehudit party, on Wednesday wrote to Attorney General Avichai Mandelblit through Attorney Itamar Ben-Gvir, demanding that he apply the Supreme Court’s ruling cancelling the amendment to the draft law to the Arab sector as well as to haredim. In his letter, Ben-Ari called on Mandelblit to at the very least obligate Israeli Arabs to serve in the national civil service. The Supreme Court on Tuesday struck down a 2015 amendment to the law mandating service in the IDF, ruling that the current version of the law is unconstitutional. The judges struck down the version of the draft law passed by the current Knesset, which extends the exemptions given to yeshiva students until 2023. The court ruled that the exemptions granted to haredim are discriminatory against the communities who do not receive exemptions. Ben-Ari’s letter stated that "everything in the ruling of the Supreme Court is also applicable to the Arabs, and the undersigned does not understand why there is discrimination and violation of the principle of equality in such a way that tens of thousands of Israeli citizens are not summoned to a recruitment office or at least serve in the national civil service just because they are Arabs." The members of Otzma Yehudit stressed in the letter that the Knesset itself did not stipulate that Arabs should be exempted from serving in the IDF or in the national civil service. "Under these circumstances, my client turns to you as a first step before a petition to the Supreme Court and asks for your response, and in effect for the response of the State of Israel. In our opinion, granting a blanket exemption of service without any legal authority to this effect constitutes a violation of the equality of each of the majority groups which are obligated to serve in the army,” the letter states. "There is nothing in the religion of a person that should prevent him from serving in the army or at least in the national service. Many IDF soldiers are minorities. A distinction between those who are designated for service based on religious worldview or race is discrimination without any relevant difference,” it concludes. The letter was also sent to the Prime Minister, the Defense Minister, the Chief of Staff and the head of the IDF’s Manpower Division. Meanwhile on Wednesday, the haredi political parties held an emergency meeting in wake of the Supreme Court's decision and sharply criticized the Court. On the other hand, Defense Minister Avigdor Liberman demanded that every haredi Jew serve in the IDF or do national service.